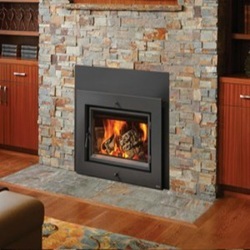 ​These FPX Wood | High Efficiency Fireplace Inserts deliver ambiance & clean burning heat. 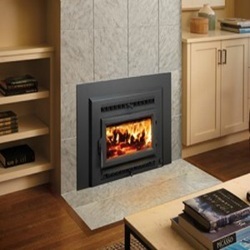 This high efficiency wood burning fireplace insert is available in a variety of styles and options at Bare's Stove and Spa. Some of these units come fully loaded with the Hybrid-Fyre® technology. This smart technology burns less wood, saves you time and delivers more heat. Enjoy the warmth and ambiance of wood heat! Bare's is proud to deliver incredible customer service to our friends and neighbors in Bozeman, Montana. Visit the showroom today! Please explore the product gallery below. Please contact Bare's Stove and Spa if we may answer any questions. 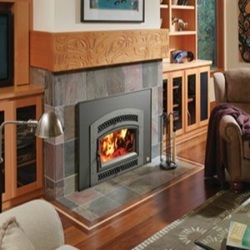 ​This Large Flush Wood Hybrid-Fyre™ Arched Insert features the elite clean burning Hybrid-Fyre Technology. This unit boasts high efficiency and up to 12 hour long extended burn times. For additional simplicity, consider adding the GreenStart Ignition option to start your unit with a simple push of a button. This powerful unit can heat up to a 2,500 square foot space. ​This Large Flush Wood Hybrid-Fyre™ Rectangular Insert sports clean burning technology, high efficiency and extended burn times. In fact, this unit has over 80 % efficiency. 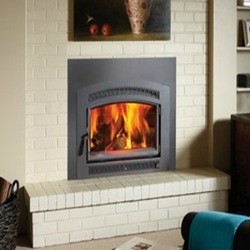 This fireplace insert pairs flawlessly with large zero clearance or masonry fireplaces. This durable unit can heat up to a 2,500 square foot home or living space. ​The FPX Small Flush Wood Hybrid-Fyre™ insert has the planet’s cleanest burning technology. Thanks to its condensed size, it can be installed where no other wood insert has been installed before. This mighty little unit can heat up to a 1,000 square foot space with a 76% overall efficiency. 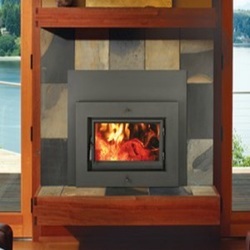 ​ ​The 33 Elite Flush Wood Plus sports a big, rectangular single piece door and smart Shadowbox face. Start this unit with a simple push of a button, with GreenStart Ignition option. The 33 can heat up to a 2,000 square foot home. The 33 Elite Flush Plus features a great, arched single piece door. Customize the look of the unit with a variety of arched face options. This product is available with the GreenSmart ignition option, to start your fireplace with a push of a button. This flush unit can heat up to 2,000 square foot area.